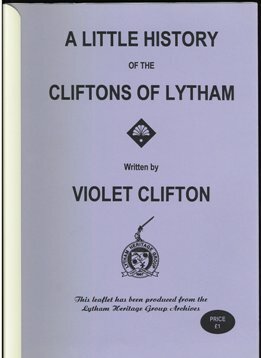 A leaflet produced by Lytham Heritage Group from their archives. Photocopied from an original pamphlet written by Violet Clifton (in the 1950s?). Includes a diagram of the Clifton family tree, dated 1938. Probably still available from Lytham Heritage Group.